Turn your simple callaloo recipe into something interesting and tasty. For the extreme "ital" at heart, you can substitute for real callaloo leaves (as canned callaloo contains small amounts of sodium). Add Callaloo, onions and garlic to vegetable oil. Stir mixture for 4 minutes. Add Coconut milk, chopped sweet potatoes, Cho-Cho, carrots, Potatoes. 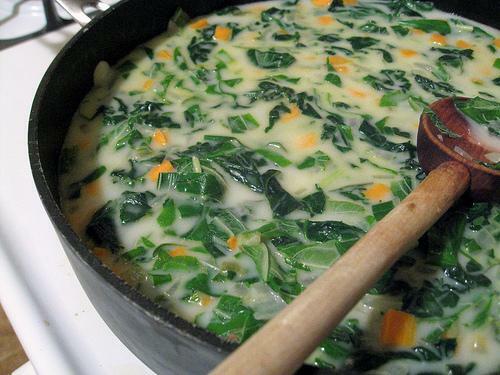 Reduce heat after the vegetables are cooked and simmer for 5 minutes.